For other uses, see AEG (disambiguation). Allgemeine Elektricitäts-Gesellschaft AG (AEG) (German: "General electricity company") was a German producer of electrical equipment founded as the Deutsche Edison-Gesellschaft für angewandte Elektricität in 1883 in Berlin by Emil Rathenau. After World War II its headquarters moved to Frankfurt am Main. In 1967 AEG joined with its subsidiary Telefunken AG creating Allgemeine Elektricitäts-Gesellschaft AEG-Telefunken. In 1985 Daimler-Benz purchased the AEG-Telefunken Aktiengesellschaft, which was renamed to AEG Aktiengesellschaft and wholly integrated the company in 1996 into Daimler-Benz AG (1998:DaimlerChrysler). The remains of AEG became part of Adtranz (today Bombardier Transportation) and Deutsche Aerospace (1998: DASA, today Airbus). After acquiring the AEG household subsidiary AEG Hausgeräte GmbH in 1994, in 2005 Electrolux obtained the rights to the brand name AEG, which it now uses on some of its products. The AEG name is also licensed to various brand partners under the Electrolux Global Brand Licensing program. In 1883 Emil Rathenau founded Deutsche Edison-Gesellschaft für angewandte Elektricität in Berlin, which became Allgemeine Elektricitäts-Gesellschaft in 1887. Initially producing electrical equipment (such as light bulbs, motors and generators), the company soon became involved in AC electric transmission systems. In 1907 Peter Behrens was appointed as artistic consultant to AEG. This led to the creation of the company's initial corporate identity, with products and advertising sharing common design features. The company expanded in the first half of the 20th century, and is credited with a number of firsts and inventions in electrical engineering. During the same period it entered the automobile and airplane markets. Electrical equipment for railways was produced during this time, beginning a long history of supplying the German railways with electrical equipment. After WWII, the company lost its businesses in the eastern part of Germany. After a merger in 1967 the company was renamed Allgemeine Elektricitäts-Gesellschaft AEG-Telefunken (from 1979 on only AEG-Telefunken). The company experienced financial difficulties during the 1970s, resulting in the sale of some assets. In 1983 the consumer electronics division Telefunken Fernsehn und Rundfunk GmbH was sold. In 1985 the company re-took the name AEG and the remainder of the company was acquired by Daimler-Benz; the parts that remained were primarily related to electric power distribution and electric motor technology. Under Daimler-Benz ownership, the former AEG companies eventually become part of the newly named Adtranz in 1995 and the AEG name was no longer used. Electrolux, which had already acquired the household subsidiary AEG Hausgeräte GmbH of AEG in 1994, now own the rights to use and license the brand. Tropp Paul began his work for the AEG 1889/90 until 1893, and Franz Schwechten designed the facades of the Acker- und Hussitenstraße in 1894–95. In 1894 the site of the former Berlin Viehmarktgasse (cattle market) was purchased. This had a railroad siding connecting to the Berlin rail network, but there was no rail connection between the two plants. In 1895 an underground railway link between the two plots was built in a tunnel 270 meters long. The tunnel was built by Siemens & Halske (S & H) (later to become Siemens) under the direction of C. Schwebel and Wilhelm Lauter, and is now the Spree tunnel Stralau, used by public transport. In 1907 architect Peter Behrens became an artistic adviser. [chron 8] Responsible for the design of all products, advertising and architecture, he has since become considered as the world's first corporate designer. Behren's philosophy was to create a building which is solid, strong and simple in its structure. It is perfect for doing its job of producing large, heavy machinery. The dimensions of the building were chosen to allow turbines to be transported above other machinery. 1900: Invention of the hairdryer. 1941: AEG bought Siemens & Halske shares in Telefunken and the company became a subsidiary. Berlin memorial plaque for Polish forced labourers at AEG in Berlin-Gesundbrunnen, Germany. AEG donated 60,000 Reichsmarks to the Nazi party after the Secret Meeting of 20 February 1933 at which the twin goals of complete power and national rearmament were explained by Hitler. They joined with other large companies such as IG Farben, Thyssen and Krupp in their support of the Nazis, especially in promoting re-armament of the German Army, Luftwaffe, and Kriegsmarine. During the war itself, they used large numbers of forced labourers as well as concentration camp prisoners, under inhuman conditions of work. AEG worked extensively with the German Nazi party in Poland. AEG was forced to relinquish Kabelwerk Kraków, a cable manufacturing plant, to the Nazi party. Kabelwerk Kraków was located in Kraków-Plaszow and used forced Jewish labor manufacturing cables from 1942-1944. In 1943, AEG began to relocate goods and evacuate workers. Goods were relocated to various places, including Berlin and Sudetenland. When installing electric and lighting systems for the Waffen-SS training grounds in Dębica, AEG used forced labor from Jews placed in the Pustkow labor camp located in Southeastern Poland. AEG used slave labour from Camp No. 36 at the new sub-camp of Auschwitz III and also known as Monowitz, called "Arbeitslager Blechhammer". Most of these would die in 1945 during the death marches and finally in Buchenwald. AEG was a major supplier of grips found on World War 2 P38 pistols manufactured by Walther Arms, Mauser, as well as on the early wartime Spreewerk P38s. In an effort to express regret for their use of Jewish slave labor in World War II, AEG teamed up with Rheinmetall, Siemens, Krupp, and I G Farben to pay DEM75 million in reparations to the Jewish Claims Conference. In 1945, after the Second World War, production resumed in the factories in the western sectors of Berlin (in what today is the headquarters building of Deutsche Welle (DW television), as well as in factories located in Nuremberg, Stuttgart and Mulheim an der Ruhr. Additionally, new works were erected, including an Electric meter plant in Hameln. The steam and electric locomotive plant in Hennigsdorf (Fabriken Hennigsdorf) became a Volkseigener Betrieb (VEB) (people owned enterprise) as the Lokomotivbau Elektrotechnische Werke (LEW) ("electric locomotive works"). The cable plant (Draht-, Kabel- und Metallwerk Oberspree) and apparatus factory (Apparatefabrik Treptow) and other facilities also lay in East Germany and became Sowjetische Aktiengesellschaft (SAG) (Soviet joint stock companies). Over 90% of the assets in Berlin lay in the Russian occupied zone and were lost. 1948: The AEG factories Kassel (FK) were founded on the site of the former MWK Motorenbau Werk Kassel at Lilienthalstrasse 150 in Kassel/Hesse/Germany. The first factory part was the high-voltage switchgear factory (HSF), later the refrigerator factory (KSF), the ticketprinter factory (FDF), the isolating material factory (IF). Furthermore, the globally respective high-voltage institute (HI)were founded. In the early sixties more than 5000 people worked for AEG in Kassel. Today, the site Lilienthalstrasse still produces high voltage switchgear. 1950: The new corporate headquarters is at the Friedensbrücke (Peace Bridge) in Frankfurt / Main. The number of employees in the Group rose from 20,900 in September 1948 to 55,400 persons in September 1957. In the same year the turnover exceeded one billion DM for the first time, however the high level of investment in the rebuilding of the company (1948 to 1956 over 500 million DM) placed a considerable strain on the balance sheet. 1958: The slogan "Aus Erfahrung Gut" (benefit from experience) is introduced to explain the company name and acronym, leading to unflattering parodies such as "Auspacken, Einschalten, Geht nicht" (unpack, switch on, does not work) or "Alles Ein Gammel" (everything is 'gammy'). 1962: The Group has 127,000 employees and generates annual sales of 3.1 billion DM. In Springe, a new factory is opened in February 1962 a new factory for the production of fluid control units with 200 employees. 1962: Walter Bruch at Telefunken in Hannover develops PAL color television. 1966: The largest industrial space in Europe is created (175 m long, 45 m wide and 26 m high) for the construction using cranes of engines and generators with weights up to 400 tonnes. Robert Kennedy attends the opening. 1 January 1967: Merger with Telefunken creates AEG-Telefunken, headquartered in Frankfurt am Main. AEG electric motor builders plate. In 1970, AEG-Telefunken had 178,000 employees worldwide, and was the 12th largest electrical company in the world. The company was burdened by, among other things, unsuccessful projects such as an automated baggage conveyor system at Frankfurt Airport and nuclear powerplant construction. In particular, the nuclear power plant at Würgassen, the commissioning of which was delayed by several years due to technical problems cost AEG hundreds of millions of DM. As a result, the company paid its last dividend in 1972. The entertainment arm (Telefunken Fernseh und Rundfunk GmbH) headquartered in Hanover was sold. This was followed by the computer mainframe business (TR 4, TR 10, TR 440 [de]) (a partnership under the name Telefunken Computer GmbH with the company Nixdorf) was sold to Siemens. The process computer (TR 84, TR 86, AEG 60-10, AEG 80-20, AEG 80-60) continued as Geschäftsbereich Automatisierungstechnik (after 1980 as ATM Computer GmbH). In 1979 Allgemeine Elektricitäts-Gesellschaft AEG-Telefunken was renamed AEG-Telefunken AG by dropping the supplement "Allgemeine Elektricitäts-Gesellschaft", used since 1887. For reasons of European Union, the corporate form AG (Aktiengesellschaft) had to be added. In February 1980, Heinz Dürr became board Chairman (until 1990). In August 1982 a restructuring plan, backed with federal guarantees of 600 million DM and new bank loans of 275 million DM, fell apart at the first disagreement between the banks. A banking consortium provided an administrative loan of DM 1.1 billion to the AEG Group until June 1983; 400 million of which only to be available on a guarantee by the federal government. Not only was AEG-Telefunken AG affected, but also its subsidiaries Küppersbusch AG in Gelsenkirchen, Hermann Zanker Maschinenfabrik GmbH & Co. KG in Tübingen and Carl Neff GmbH in Bretten. The Alno-Möbelwerke GmbH & Co. KG in Pfullendorf was taken over by the minority shareholders, and separated from the group. The suppliers to AEG were affected and some filed for bankruptcy—including Becher & Co. Möbelfabriken KG in Bühlertann—with lack of continuity of company policy a factor. The site at Brunnenstraße in the former Berlin district of Wedding was also sold, as were the firms AEG-Fabrik Essen and Bauknecht. 1983/84: the consumer electronics division (Telefunken television and broadcasting GmbH) was sold to the French group Thomson-Brandt. 1985: AEG was taken over by Daimler-Benz AG. Daimler-Benz executive Edzard Reuter (from 1987 Daimler CEO), decides two companies should form an "integrated technology group" with beneficial synergy. 1988: On its 60th anniversary the AEG-Forschungsinstituts (AEG Research Institute) creates the Carl-Ramsauer Prize for scientific/technical dissertations. 1990: AEG Westinghouse Transportation Systems GmbH is formed in association with Westinghouse Transportation Systems Inc.
1992: The Swedish company Atlas Copco acquires AEG Power Tools Ltd; divested in 2004 to Techtronic Industries. 1994: sale of the Automation division to Schneider Electric and of AEG Hausgeräte AG to Electrolux. 1995: AEG Schienenfahrzeuge GmbH becomes part of ABB Daimler-Benz Transportation (Adtranz) (subsequently becoming part of Bombardier Transportation in 2001). 1996: The Annual General Meeting of Daimler-Benz AG chaired by Juergen Schrempp decides upon the dissolution of the lossmaking group. September 1996: The company is deleted from the commercial register. AEG played an important role in the history of the German railways; the company was involved on the development and manufacture of the electrical parts of almost all German electric locomotive series and contributed to the introduction of electrical power in German railways. AEG also built the Hellenic Railways Class 520 DMUs between 1989 and 1995. AEG G.IV bomber (World War I). AEG manufactured a range of aircraft from 1912 to 1918. The first aircraft in 1912 was of wooden construction and modelled after the biplane of the Wright brothers. It had a wingspan of 17.5 m (57 ft); was powered by an eight-cylinder engine producing 75 hp; unloaded weight was 850 kg; and could attain a speed of 65 km/h (40 mph). From 1912, the construction of airplanes in mixed wood and steel tube construction with fabric covering. One of the planes designed and built was Riesenflugzeug ("giant aircraft") AEG R.I. This aircraft was powered by four 260 hp (190 kW) Mercedes D.IVa engines linked to a combination leather cone and dog clutch. The first flight tests were satisfactory, but on 3 September 1918, the R.I broke up in the air killing its seven crewmen. The most successful in terms of production figures of all the AEG aircraft designs was that of the G.IV Grossflugzeuge ("large aircraft") heavy tactical bomber, of which one still survives of the 320 built, as the sole surviving World War One German multi-engine bomber. During the Second World War AEG produced machines for reconnaissance purposes, including a helicopter platform driven by an AC motor. This was a tethered craft that could not fly freely; the power supply was carried by three cables from the ground. The machine reached an altitude of 300 m.
AEG bought Kühlstein in 1902, founding the division Neue Automobil Gesellschaft (New Automobile Company), to make cars. AEG withdrew from car production in 1908. As a result of the breakup and dissolution of the original company, Electrolux acquired the brand rights in 2005 and the name is also licensed to various companies: Currently the brand is being actively promoted by Electrolux; it includes many of the same products that it formerly manufactured, such as power solutions energy devices, telecommunication devices (phones and mobile phones), automation, car accessories, home appliances, power tools, projectors, printing equipment and supplies, water treatment devices, and personal care devices under the AEG brand. AEG Hausgeräte - became part of Electrolux, produces white goods such as washing machines, dishwashers, ovens, fridges etc. ITM Technology AG produces consumer electronics and telecommunication (mobile phone, home phone etc.) equipment under the AEG name. AEG Elektrowerkzeuge (AEG Power Tools), licensed to Techtronic Industries (TTI) since 2009, produces hand power tools. AEG Industrial engineering produces electrical power equipment, including generators up to 55MW, control gear and switchgear, electrical motors, transformers etc. as well as high power inverters and DC supplies for industrial use. In 2012 Binatone Electronics International became the European Licensee of AEG for mobile phones, landline phones and two way radio; in effect manufacturing these products under the AEG brand name. ^ "Aktien und Historische Wertpapiere Geschichte der AEG". www.dm-aktie.de. ^ "Slave Labor in the Auschwitz Region. Blechhammer: Sub-camp of Auschwitz III – Monowitz". www.jewishgen.org. ^ "P.38 Grips". Retrieved 25 August 2014. ^ "German firms count cost of slave labour". The Independent. 9 November 1997. Retrieved 4 May 2018. ^ David Burgess Wise, "NAG", in Tom Northey, ed., World of Automobiles (London: Orbis Publishing Ltd., 1974), Volume 13, pp.1479–80. ^ Neeubauer,Hans-Otto. "A.A.G. ", in G.N. Georgano, ed., The Complete Encyclopedia of Motorcars 1885–1968 (New York: E.P. Dutton and Co., 1974), p.23. ^ "AEG - AG Products". Erdmann Thiele (ed. ): Telefunken nach 100 Jahren — Das Erbe einer deutschen Weltmarke. Nicolaische Verlagsbuchhandlung Berlin, 2003. Aus der Geschichte der AEG: Vor 25 Jahren: Bau der ersten AEG-Flugzeuge. In: AEG-Mitteilungen. Jahrgang 1937, Heft 10 (Oktober), pp. 359–362. Miron Mislin: Industriearchitektur in Berlin 1840–1910. Wasmuth Verlag, Tübingen 2002, ISBN 3-8030-0617-1, pp. 388–403. 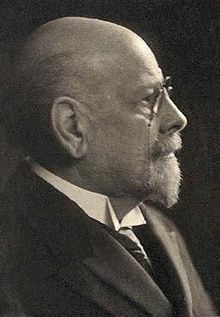 Manfred Pohl: Emil Rathenau und die AEG. AEG Aktiengesellschaft, Berlin, Frankfurt am Main 1988, ISBN 3-7758-1190-7. Peter Obst: Die Industrie am Humboldthain (Maschinenfabrik), AEG 1896–1984. Innovations-Zentrum Berlin Management (IZBM) GmbH. Hans-Heinrich von Fersen: Autos in Deutschland 1920–1939. 50 Jahre AEG, als Manuskript gedruckt. Allgemeine Elektricitäts-Gesellschaft Abt. Presse, Berlin 1956. Gert Hautsch: Das Imperium AEG-Telefunken, ein multinationaler Konzern. Frankfurt/Main 1979. Felix Pinner: Emil Rathenau und das elektrische Zeitalter. Akademische Verlagsgesellschaft mbH, Leipzig 1918. Harri Czepuck: Ein Symbol zerbricht, zur Geschichte und Politik der AEG. Dietz Verlag, Berlin 1983. Tilmann Buddensieg: Peter Behrens und die AEG, Neue Dokumente zur Baugeschichte der Fabriken am Humboldthain. In: Schloss Charlottenburg Berlin-Preußen. Deutscher Kunstverlag, München 1971. Peter Strunk: Die AEG. Aufstieg und Niedergang einer Industrielegende. Nicolai, Berlin 2000. Jahresringe Verband für Vorruhestand und aktives Alter, Land Brandenburg e. V. (ed. ): Zeitzeugnisse 1945–1990. Part I (1999) and II (2000). Wikimedia Commons has media related to AEG.